We all love the feeling of having a new bathroom. That fresh, shiny sheen and the joy of something new and luxurious. But you lose that over time, and even if you really think you’ve looked after your bathroom you might be wishing you could start over again. 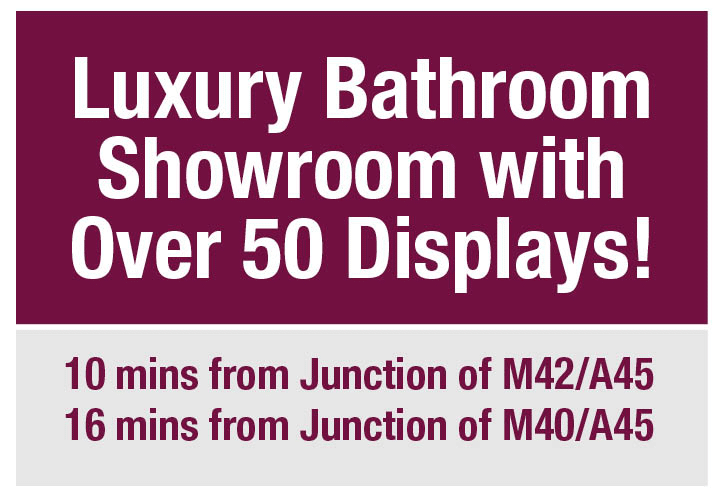 We can help you do that if you’re ready for a refurb, but you may not want to go for a completely new bathroom at the moment. The good news is, there are some simple tips to breathe fresh life into the room you visit at the beginning and end of your day and many times in between! The lighting in your bathroom won’t go dull over time… but maybe it wasn’t such a bright decision in the first place, or the options were limited when you bought your previous bathroom. LED lighting is the way to go with any lighting now. Although it’s initially more of an investment, you’ll save money over the life of your lighting on energy bills and bulb replacement. And who needs the hassle of changing lightbulbs every few months, anyway? LED lighting can really add a bright and brand new feel to your bathroom if you don’t already have it. Your suite and tiles might be missing out on some essential limelight. Just replacing the lighting will really lift your bathroom. You may have gathered more stuff (who doesn’t?) or more people might be living in your home since your bathroom was last installed. Storage is the answer here – but not more, just more intelligent. Changing your cupboards to taller units or adding storage under your basin, or increasing the size of your mirror cabinet can really help. Remember that heated towel rails can help you keep your bathroom toasty warm whilst being a neat place to keep your towels. Use storage to de-clutter and clean up those areas that are now overflowing with extra products and mismatched beauty containers. Simply having too many colours can make your bathroom feel ‘messy’. Pop the bottles out of sight and see what a difference it makes to the overall look and feel of your bathroom. We all gather clutter over the years. Ask yourself this: “When was the last time I used it?” and then select the items you really need. It sounds simple, but cleaning your bathroom with a deep clean can really bring it back to life. Over time the grouting can go dull, the tiles can attract limescale and maybe your weekly clean has missed the corners and those parts you only see when you’re… well… on the pan. Deep clean your tiles and suite using recommended products, and dust it to perfection. It’s often the small things that make a big difference. Shower screens can get very dirty looking if you’re not careful. 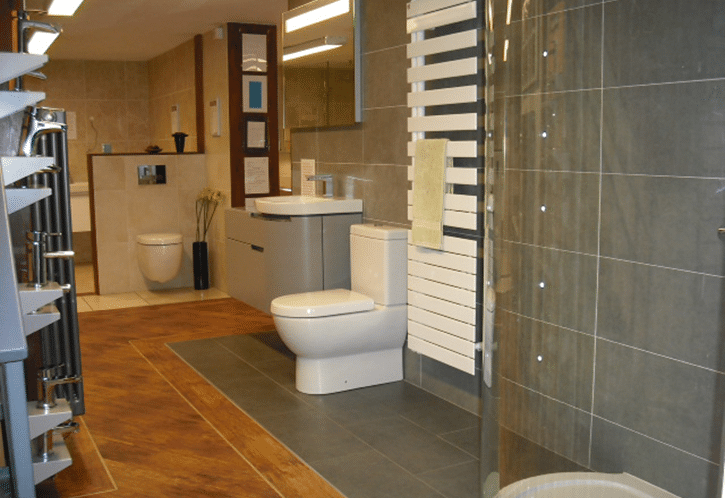 We have plenty of advice on caring for your bathroom so do ask if you need some recommendations. If you haven’t tiled your whole bathroom then one really simple way to refresh is obviously to paint it. Choosing the right colour is essential but don’t be afraid to add a striking feature wall or go for something out of the ordinary – as long as you’re not trying to sell your home straight away. Be careful with smaller bathrooms that you don’t go too dark. Stick to a light colour and maybe just a fresh lick of brilliant white in the very small room – it’ll still freshen it up! Your floor gets a lot of wear. All that traffic can take its toll and you might find that changing the flooring or replacing it will really help. Even if you’ve not worn a grove in your flooring, changing it will add a whole new dimension anyway. The flooring is a large part of your bathroom so refreshing it will have a large impact. 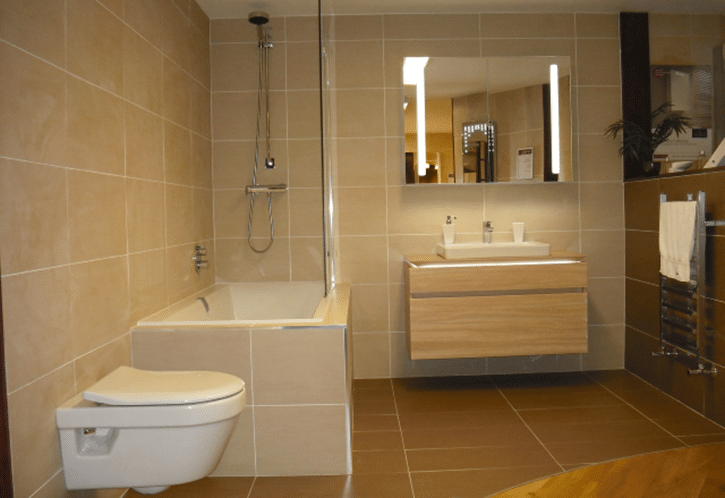 If you’d like some advice on choosing a replacement bathroom floor just ask us as we’ve got years of experience in finding the right product for your needs. Just as painting your bathroom will brighten it up of give it a brand new look, new tiles will give it a new look, and bring back that brand new feeling. 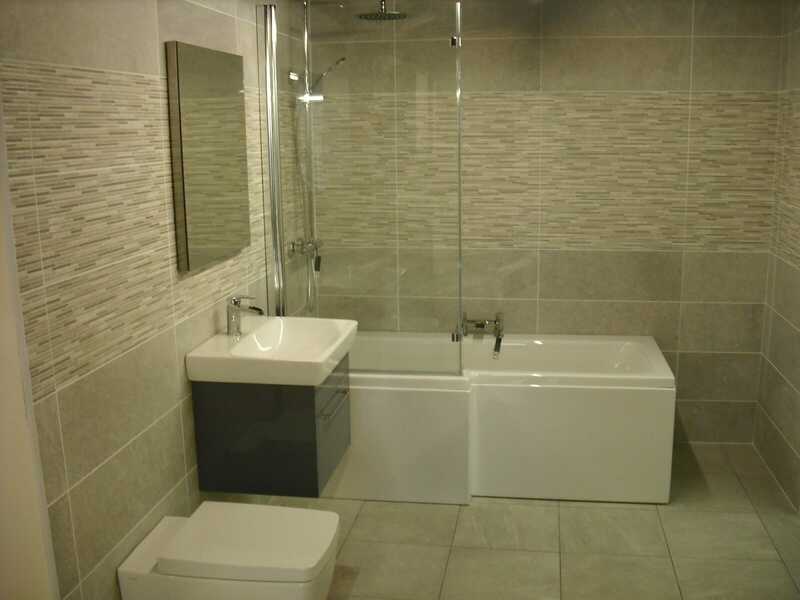 Again you need to choose the right tiles for your room and larger tiles may well add more to some but overwhelm others. If you’ve not tiled all of the bathroom first time around, maybe consider it this time. It’ll give you a more luxurious feel. You will need to re-plaster in many cases but you may find it’s worth it to give your bathroom a beautiful designer hotel feel. 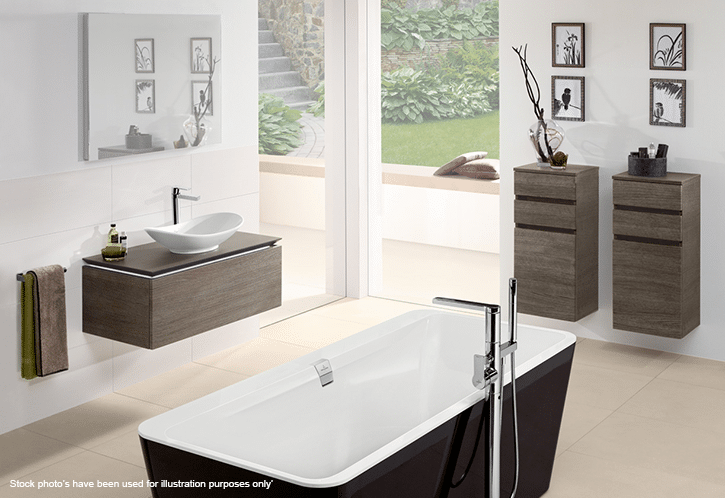 Making some simple changes, decorating and organising your bathroom will go a long way. 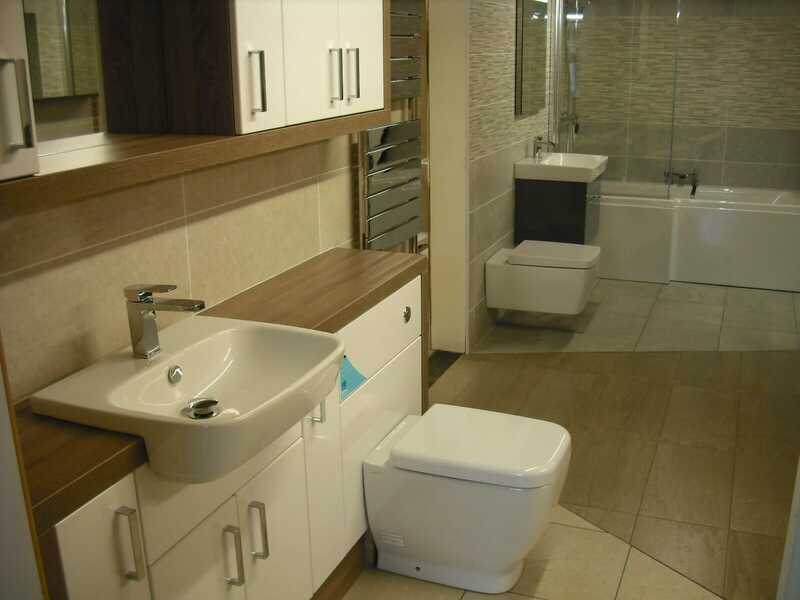 Don’t forget that when your bathroom was new it was simple, organised and clean. You can get there again. 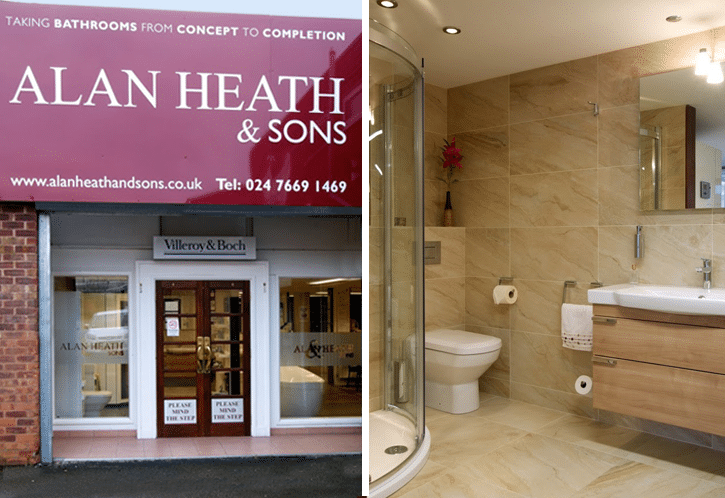 If your bathroom is beyond some TLC though, please do come and pay us a visit in the bathroom showroom. We’re more than happy to discuss that new bathroom feeling with you.